500th post and a contest!! 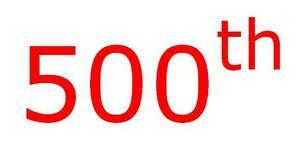 Wow, when I started this blog, I never dreamed I would make it to 500 posts! For those of you who know me, you know I like to talk, sometimes about absolutely nothing. I can't stand dead air, I have to have noise. To celebrate this milestone on my blog I have decided to have a giveaway. Yep, thats right something for FREE! (I am thinking along the lines of a Layer Cake or more, not sure which one yet) I will announce the winner on Friday September 30. If you are not a follower, you need to become one, that is how we will choose our winner! Leave a post telling me what you do to kick off your Fall crafting time!! Don't forget become a follower of the blog first. Last but not least I want to tell all of you "Thank-you" I couldn't have made it to 500 if you didn't read my silly posts and my over use of the exclamation point (Love that thing!!) I love reading your comments and follow many of you in blogland. So, Thank-you again!! You can also follow us on Pinterest and Facebook. This is just a quick note about the current pattern...If you have a nook color you need to add a 1/2 inch to the main piece for the cover. pattern says 8 1/2 by 11 1/2 you will need it to be 9 x 11 1/2. The nook color is 1/2 inch taller than the kindle is the reason for this. 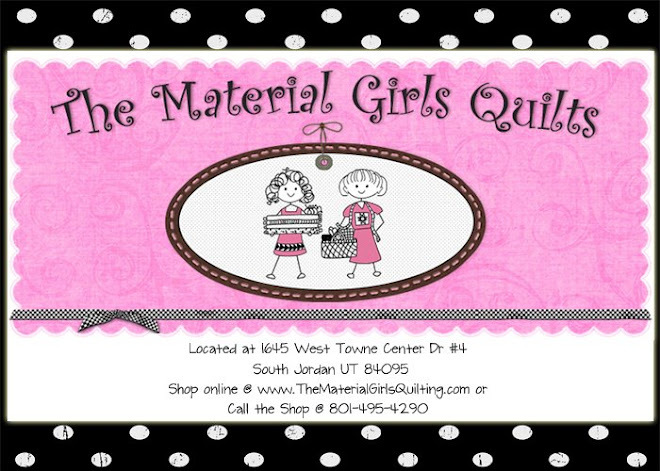 Did you know that we have a Modern Quilt Guild that meets at the shop? We meet once a month, the third Tuesday of every month from 6:30-8:00 it is an open group so if you want to come join, please do. 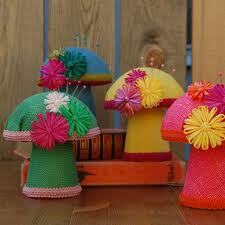 Next month (October) we are having a pincushion swap. 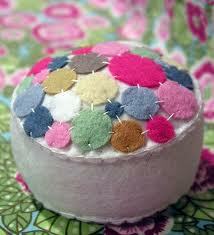 Make a pincushion and get one in return. It is going to be so much fun!! We have done a pillow swap and there were some amazing pillows. So come join in on the fun!! Start your pincushion today! Lori Holt from Bee in my bonnet is having a workshop!! I am so excited to tell you this! 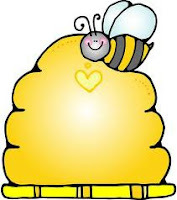 Lori Holt from Bee in my Bonnet is doing a 2 day workshop on October 27 & 28. 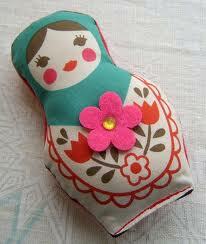 She will be showing you her method of needle turn applique on her newest pattern "Sew She Did" Which I heart! Sign ups have started so give the shop a call to reserve your spot, 801-495-4290. The class is $99.00 which includes the pattern, lunch and lots of fun giveaways!! This is going to be so much fun!! I hope you are all busy making your totes and cases. The tote is much larger than I thought. I guess more room to carry stuff around in. 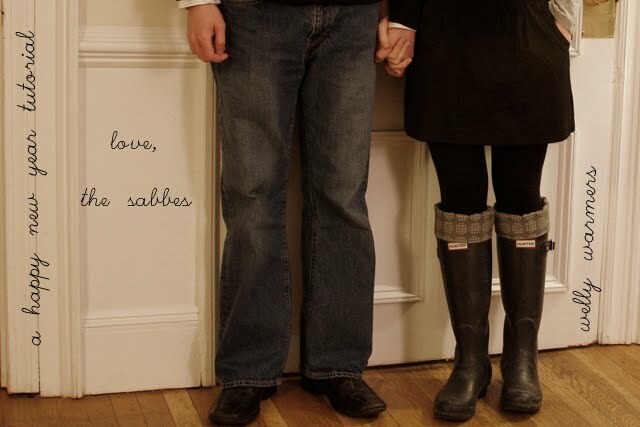 Email your project pictures and I will get them up on the blog. Also feel free to email any other projects you want to show and tell. I am a cold weather girl. I suffer through the summers and rejoice when the weather turns cold. With hints of fall this past week I am prepping my closet for the cold weather. This years addition...wellies. Here is an easy tutorial on welly warmers. I mentioned last week about a bag of the month club. After a chitty chat with boss lady we have come to an announcement. LET THE BAG MAKING BEGIN!!! Here is the scoop. The response has been awesome. But lots of it has come from our online friends. So with that we have decided to make this an online group with meetings quarterly, not really meetings but more like chat fest. We will still choose to make a bag each month, but instead of meeting up to show our creations you will email a picture of them to me and we will post them online. We will set a deadline for pictures to be in by and the post of pictures will be up that day. Also the next pattern will be announced in that same post. This is where I need your guys opinion. Would you prefer a blog page to post pictures or a facebook page? Leave a comment or shoot an email to the address below to let me know. Pictures are due to me by October 15th. The email to send them to is mgbaglady@hotmail.com. For all you readers who have wanted to make bags but are nervous. Don't be. This is a perfect beginner bag. You can send any questions to the above email or contact the shop and any of the girls there can you help you out as well. my child is a chunky monkey. And due to this "baby" sized stuff doesn't work for him. The major one being baby towels. So here is a quick and easy tutorial on hooded towel you can use from infant to toddler---or you on those days you want to bundle up after a warm shower. --Using a short stitch length (1.5) but a wide zig zag (4) sew the two edges together. MAKE sure to catch both edges of the towel in your stitches. --Center the point piece onto the long side of your towel...this is sewn to the "outside" so if you want a certain side out when you wrap it make sure that side is facing up in this step. --Zig Zag the three edges of the point piece. Then straight stitch along the edge of the towel. This attatchs and secures the point piece and towel together. --Embellish as desired--mine are plain cause my little one pulls everything off that I put on. DONE!! Now time for a bath!! 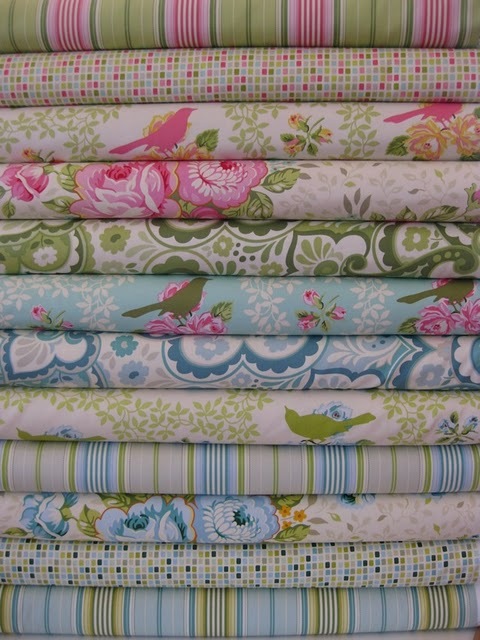 Garden District by Heather Bailey is here!! Is this not to die for?? It is Heather Bailey's newest line of home decorator fabrics called Garden District.. 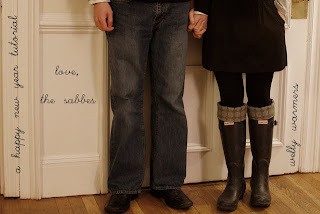 They are so cute, great colors, and Heather's classic vintage style. You will have a hard time just picking one color. It is fantastic in all the color ways! So, stop by the shop or give us a call 801-495-4290 and we will get you fixed up with your favorite pieces. I promise you are going to love it! Hi there, this is Chriss. If you dont know me I am the bag lady from Material Girls. If there is a bag pattern out there I MUST have it. You have probably seen me in the shop, I have a little boy that the girls haul around (without much opposition from his mom) I was feeling a little left out cause I am not a quilter. I prefer "3D projects". So with the boss lady's blessing I am throwing together a monthly group. - We will make a bag each month. The pattern will be the same for all but the fabric is your choice. -When we meet the following month bring your bag and let the fun and idea swapping being. We will then announce the new pattern. -Discount will be given on the chosen bag pattern to those in the group. -At some of the monthly meetings we will have demos. We will keep you posted about start up day, time and pattern. Get your magnetic snaps and interfacing ready!!! Scarps of fabric - amount will depend on size. This small one calls for 5 inch strips. --repeat until you have enough - pattern/directions will tell you how many you need to make a complete circle. --Sew the points together along long edges. --Stitch onto back ground fabric. 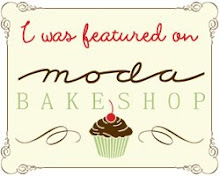 Our fabulous friends at Moda have put together a blog hop. It starts ttomorrow over at Sandy Gevais Pieces from my Heart blog Twenty seven designers from Moda will be sharing a project, recipes and lots of fun stuff!! This is a great way to start September "National Craft Month" I am so excited to see what these awesome designers put together!! Stay tuned for more on this, some of our own tutorials and "Sales" for "craft month" and a whole lot more!! Ladies that is 27 free projects!! Lets get moving! !